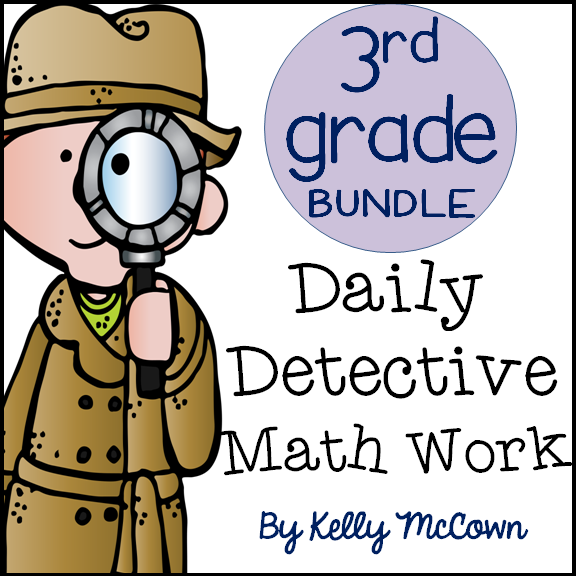 So excited to announce that the 3rd Grade Math Morning Work Bundle is COMPLETE! I love this set of 180 questions that are great daily practice for students to practice and analyze math concepts. 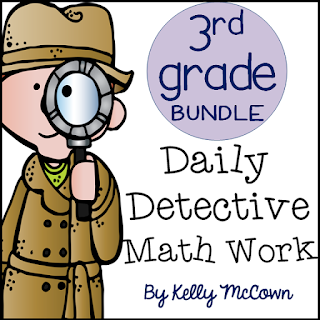 This Morning Math Work: Daily Detective Math Work Packet for 3rd Graders is for daily math practice and review. It is Common Core standards-based and sequenced in an order to review ALL CCSS for third grade. This 3rd Grade Morning Math Work: Daily Detective Math Work for the 1st Quarter through the 4th Quarter of School includes daily math analysis problems for ALL 36 weeks of school. These problems can be used as Math Morning Work, Math Centers Work, Homework, Classwork, or for Early Finishers! !